If you have a week in Sicily, it’s best to focus on one or two regions as opposed to trying to see everything. There's the wine country of the west, the medieval villages of the southeast and the giant Etna volcano in between. The following 7-day itineraries offer some of these attractions, plus incredible food, dramatic coastal views and a history and culture that stretches to time immemorial. A one-week trip to Sicily is the perfect amount of time to see some of the island’s highlights, but it will be impossible to see and do everything that this diverse island has to offer. Renting a car will help reduce travel times and gives you more freedom to explore one region of the island. Below, you'll find three great self-drive itineraries designed to make the most of your time on the island. For more trip ideas, see all of our 7-day Italy tours and itineraries. 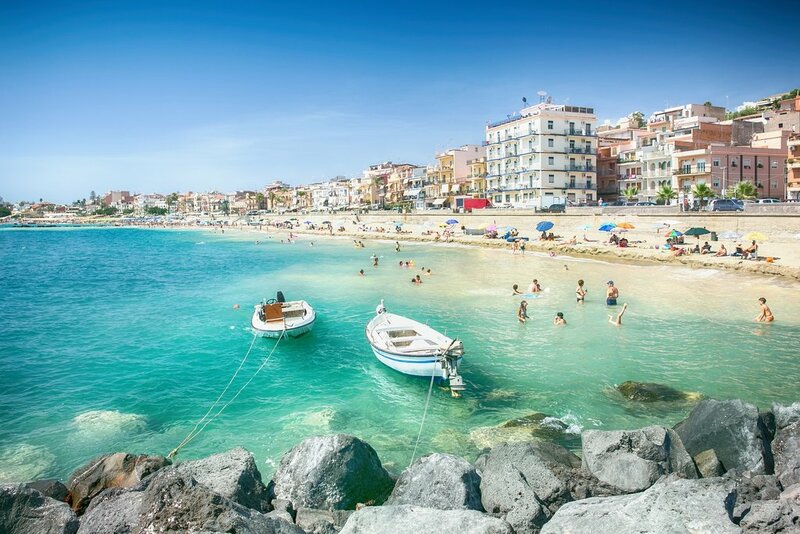 Fly into Catania, a major city and travel hub located on Sicily's east coast. You'll start your 7-day journey by heading north from Catania to the Mt. Etna region, where you can visit Europe’s largest active volcano. Hike the volcano or catch a ride to the top before wine tasting in the shadow of the mountain or continuing along the coast. Soak up the views of the Ionian coast as you head towards Celafú. On your way, you'll drive along the Riviera Dei Ciclopi, which takes its name from the Iliad. Ancient Greeks believed these rocky island outcrops were hurled at Ulysses from the top of Mt. Etna by the Cyclops Polyphemus after he blinded and escaped the mythical monster. 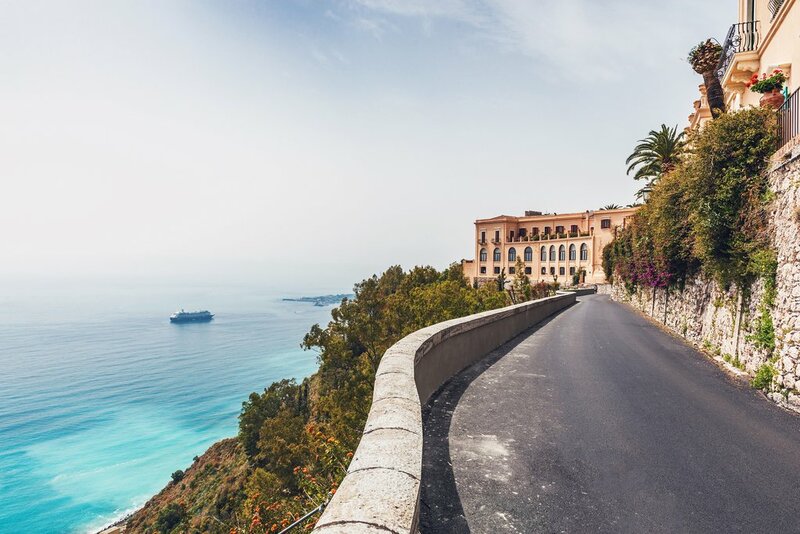 Your route along the coast will take you through the harbor town of Messina before continuing on towards the resort town of Taormina with its scenic views and ancient ruins. Take your time exploring scenic fishing villages and spend a night or two exploring the beaches and ruins such as the Teatro Greco. Continue along the coast to see the white sand beaches and honey-colored homes of Celafú. This coastal medieval town is also known for its Norman-Arab architecture and mosaics. Spend some time walking the streets, touring historic sites, and sunning yourself on the beaches. 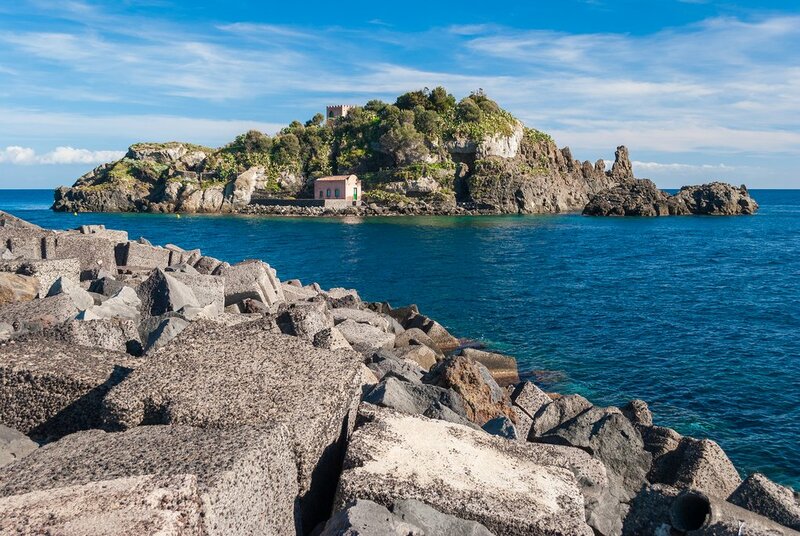 You’ll spend about 3-hours driving along the coast for the first portion of this road trip, then return to Catania via a 2-hour drive inland after stopping to see Piazza Armerina and the Roman mosaics of Villa Romana del Casale. Space out your drive to stay in different places each night. Budget at least a day to explore the city of Catania before your flight home at the end of the journey. Option #2: Drive south from Catania to Syracuse and the Hyblaean Mountains. Tourists and locals visit the Arethusa Fountain on Ortigia Island. After you arrive in Catania, rent a car and leave the city behind as you head for the idyllic scenery of the southeast coast. Citrus fruit grows amidst the ancient ruins, the ancient city of Syracuse is a delightful treat. The old fishing villages located up and down the coast offer endless opportunities to soak in the coastal views. The quaint metropolis of Syracuse was once the largest city in the ancient world, and those with an interest in archaeological sites will find no shortage of places to explore here. Tour the Neaopolis Archaeological Park with a licensed guide and spend time walking the streets of Ortigia Island, the historic and cultural center of Syracuse. Spend a night or two in the city’s center, where you can easily walk to some of Sicily’s finest restaurants. From Syracuse, continue along the coast to the stunning cathedral town of Noto for one night and then on to the nature reserves of Vendicari and Plemmirio. Vendicari offers spectacular white sand beaches while Plemmirio's allure lies in its oceanfront caves and grottos. At the midpoint of your trip, travel inland to the ancient fishing village of Marzamemi, where you can stop for a quick swim, and on to the medieval town of Ragusa. In the morning, continue your drive to Modica and Sicli, two cities that will leave you with an appreciation for the Sicilian Baroque. 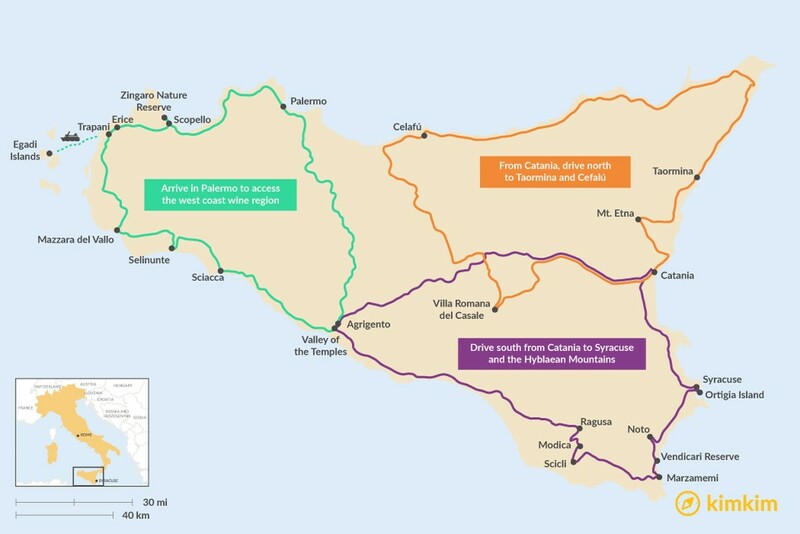 From there, take your time exploring the historic towns, sampling great food, and visiting the surrounding countryside before returning to Catania via the inland routes or continue along the coast. If you choose this first option, your total drive time over the course of the 7 days will be about 5 hours. For a slightly longer detour, head up the coast to the Valley of the Temples in Agrigento, Sicily’s most captivating archaeological site. This will increase your drive time up to about 8 hours over the 7 days. The Teatro Massimo Vittorio Emanuele, an Opera house in Palermo. 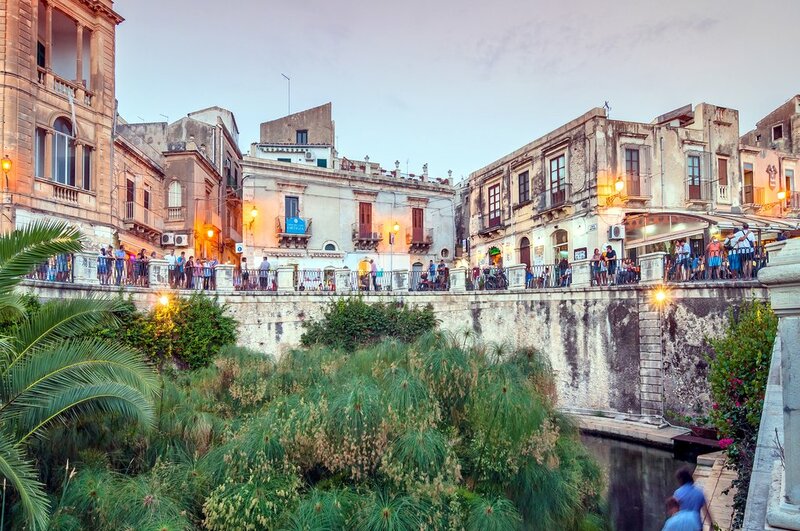 Although it offers a smaller airport than Catania and fewer options for flights, Palermo is an energetic and colorful city heavily characterized by Byzantine and Arab influences. 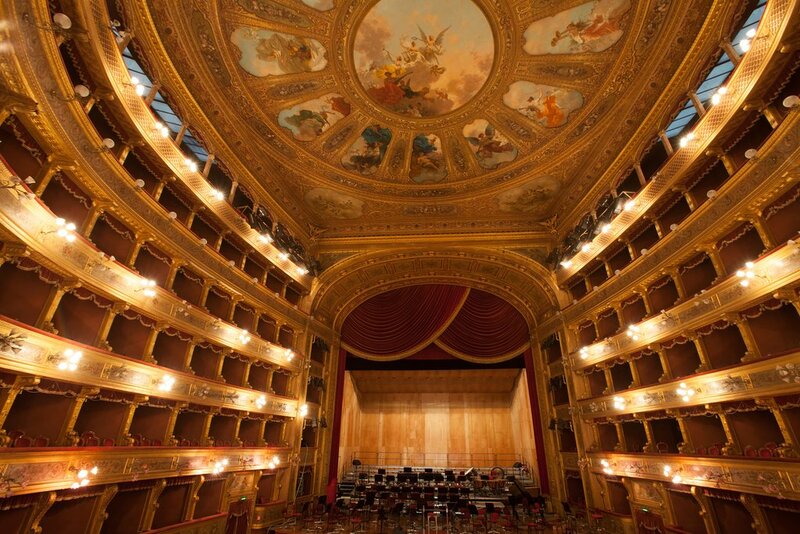 It’s a vibrant mix of new and old, features Italy’s largest opera house, and offers plenty of culinary delights. Book a tour of the city with a guide, who can guide you through the street vendors and markets. Spend a day or two getting to know Sicily’s largest metropolis before continuing on to the surrounding region. The diverse landscape of the west coast includes the salt flats of Trapani, the world-class wine destination of Marsala, the turquoise waters of the Egadi islands, and the ancient ruins of Selinunte. After a night or two in Palermo, rent a car and head west to Trapani, stopping in the Zingaro Nature Reserve and the fishing village of Scopello. Known for its sun drenched limestone cliffs and sparkling waters, this stretch of coastline is a spectacularly scenic route. When you reach Trapani, you can take a boat out to the Egadi islands and then head inland to see the salt flats, which are a particularly unique sight in Sicily. There are numerous villages where you can stay overnight or grab a meal, including the medieval town of Erice. 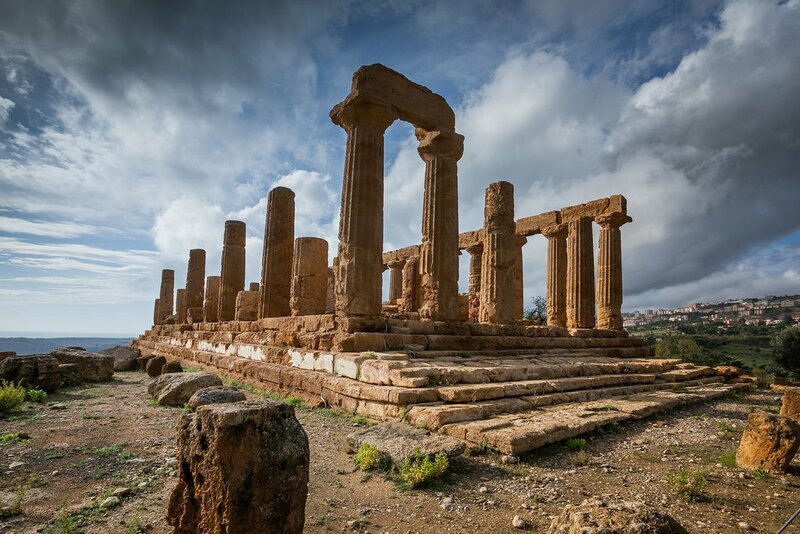 Continue through Sciacca and Selinunte to the Valley of the Temples in Agrigento, an archaeological wonder. If you return to Palermo from Agrigento via an inland route, your total drive time over the course of 7 days will be around 7 hours. For these three road trip ideas, it’s best to rent a car after arriving at the airport. Small groups usually drive themselves around the island. Larger parties may consider hiring a driver, although that does significantly increase the price point of the trip. For those looking for creative ways to get to Sicily, you can also consider taking an overnight ferry from the mainland. Travelers board in the evening and arrive in Sicily early in the morning. An overnight train from Rome is also an option. Tourists play in the turquoise waters of Taormina, a popular resort destination. In cities, most travelers prefer to stay in the heart of the town’s center so they are within walking distance to shopping, dining, and sites of historic interest. When traveling through the countryside, there are boutique hotels and farmhouse-style accommodations that often include breakfast. These smaller, quaint places to stay are often the highlights of the entire trip for many travelers. The more popular destinations, especially along the coast, also feature beachfront resorts that make for a luxurious and relaxing experience.